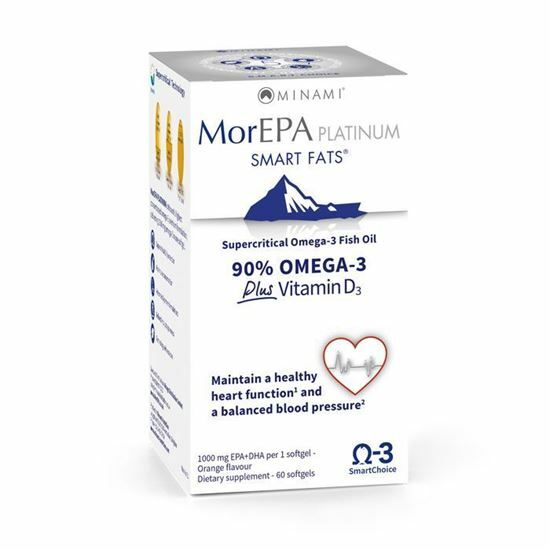 MorEPA Platinum quickly raisex your Omega-3 Index to a healthy level with one softgel per day. Helps mainly in heart function, brain function and vision support. Quickly raise your Omega-3 Index to a healthy level with one MorEPA Platinum softgel per day. One MorEPA PLATINUM softgel contains a high dose of no less than 1100 mg omega-3 including 764 mg EPA and 236 mg DHA, and is supplemented with extra vitamin D3. One capsule per day for people with a high omega-3 requirement.